John S.D. Eisenhower modestly explains General Ike as “a son's view of a great military leader—highly intelligent, strong, forceful, kind, yet as human as the rest of us.” It is that, and more: a portrait of the greatest Allied military leader of the Second World War, by the man who knew Ike best. 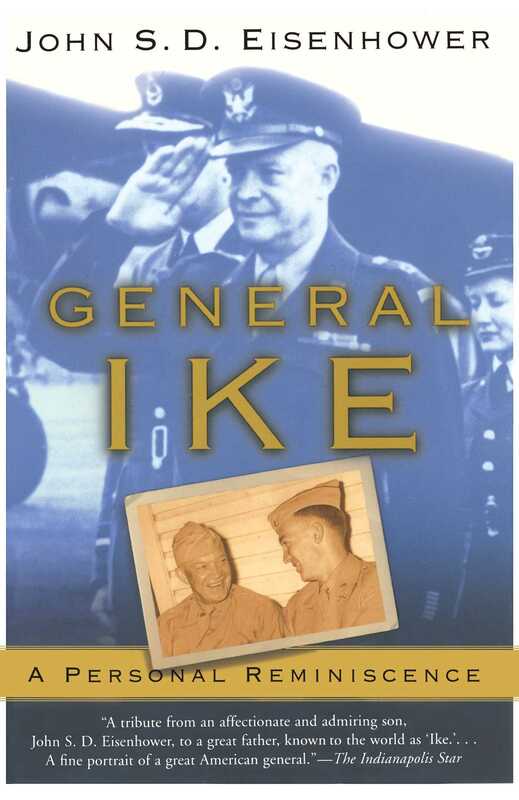 General Ike is a book that John Eisenhower always knew he had to write, a tribute from an affectionate and admiring son to a great father. John chose to write about the “military Ike,” as opposed to the “political Ike,” because Ike cared far more about his career in uniform than about his time in the White House. A series of portraits of Ike’s relations with soldiers and statesmen, from MacArthur to Patton to Montgomery to Churchill to de Gaulle, reveals the many facets of a talented, driven, headstrong, yet diplomatic leader. Taken together, they reveal a man who was brilliant, if flawed; naïve at times in dealing with the public, yet who never lost his head when others around him were losing theirs. Above all, General Ike was a man who never let up in the relentless pursuit of the destruction of Hitler. Here for the first time are eyewitness stories of General Patton showing off during military exercises; of Ike on the verge of departing for Europe and assuming command of the Eastern Theater; of Churchill stewing and lobbying Ike in his “off hours.” Faced with giant personalities such as these men and MacArthur, not to mention difficult allies such as de Gaulle and Montgomery, Ike nevertheless managed to pull together history's greatest invasion force and to face down a determined enemy from Normandy to the Bulge and beyond. John Eisenhower masterfully uses the backdrop of Ike's key battles to paint a portrait of his father and his relationships with the great men of his time.